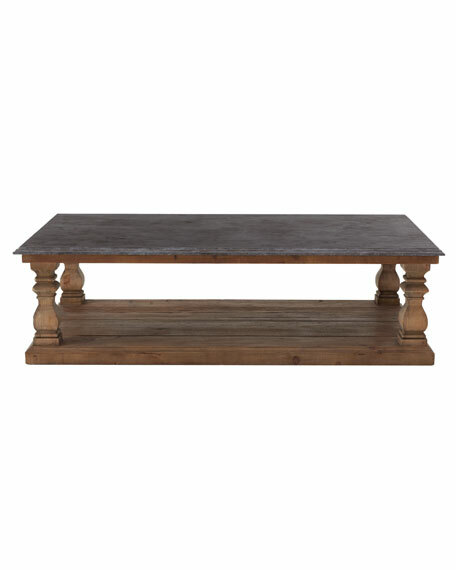 Inspired by offices of architects from a bygone era, this elegant yet rustic coffee table features baluster legs suspended between a bluestone top and pine base. 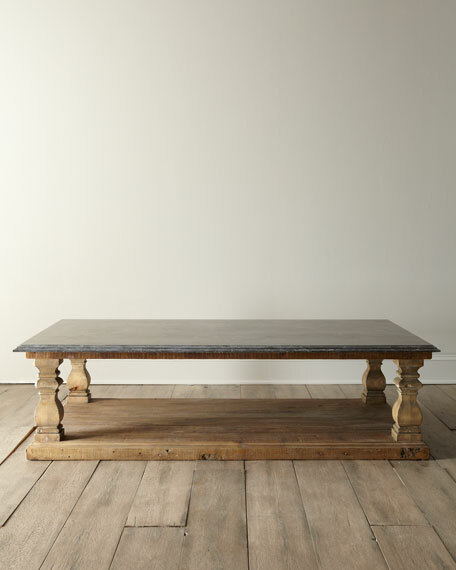 Handcrafted of reclaimed pine and bluestone. 63"W x 36"D x 18"T.